IGEL Technology, Germany’s leading thin client manufacturer, is working with BLUE Consult, a service provider specializing in IT infrastructure planning and system design, to promote the use of cost-effective IBM cloud solutions. The partners are using their combined IBM, VMware, Citrix and IGEL technology experience, to assist businesses with cloud and server-based computing solutions for their IBM infrastructures. As part of the collaboration, BLUE Consult is providing IGEL with a virtual test environment for developing new thin client devices and valuable beta testers from its business customer base to test new IGEL devices and solutions in an IBM environment. In return, the consultancy firm is making good use of its close partnership with IGEL to improve the quality of its thin client service. The test environment is made available to IGEL via a VPN tunnel and the hosting is carried out at one of BLUE Consult’s data centers in which the service provider operates an IBM City Cloud for SMEs. The companies are able to rent cloud services there as part of an SaaS model, with each user being billed for the services on a daily or monthly basis. For many industries, IBM’s highly available, easily scalable and extremely efficient mainframe systems offer the best solution. For BLUE Consult, a long-standing Authorized IGEL Partner (AIP), around 70% of its 350 active customers use AS/400 systems. For IGEL, this figure is around 10%. 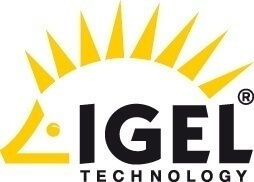 IGEL has integrated the IBM Host Access Client (IBM 5250 Client) into its Linux-based thin client software for these users, which ensures native access to IBM Power Systems such as AS/400, iSeries and System i. As a result, IGEL can make the AS/400 and Windows environment available in one single consolidated end device and can also provide standardized thin client management via the IGEL Universal Management Suite (UMS), its remote management software included as part of the package. BLUE Consult connects both IT environments within cloud environments on an infrastructure, hardware and software level. The flexible infrastructure solution IBM PureFlex, for example, is used here, allowing blade servers of different system environments to be housed in one single chassis in a way that is cost-effective, scalable and highly available. BLUE Consult is both a Citrix Cloud Member and a VMware Partner. In 2012, it received the “IBM Center of Technical Excellence for Business Partners” award for its expertise in terms of System x, Power with i and Power with AIX. IGEL and BLUE Consult have a number of customers in common including Propan Rheingas and the Görgens Group, one of the most successful German fashion chains. Both IBM users modernized their data centers with an IBM infrastructure, which combines AS/400 and server virtualization with a VMware ESX server, and also switched either completely or as far as possible from fat clients to IGEL thin clients. Propan Rheingas users across Germany use around 200 IGEL UD3 and UD5 thin clients to access the private cloud. The central data center features IBM AIX systems, IBM BladeCenter and an IBM system x3690 X5 for server, application and desktop virtualization. Around 160 IGEL UD3 series thin clients are in use at the Görgens Group headquarters and its 20 or so subsidiaries, including Jeans Palast, Kult, Olymp & Hades and Planet. 15 physical servers and an IBM Blade system with 40 virtualized servers are currently in operation in the data center in Cologne. The applications are currently provided using Citrix XenApp but, in the future, will be provided using VMware View.